Why it’s great to continue or even to begin exercising during pregnancy! Pregnancy is a very special and personal time in every woman's life. And often it is a time when many women think about their lifestyle as they realize how important it is to take good care of themselves as well as the baby growing inside of them. Mom in Balance began developing their workouts more than 10 years ago. It’s a total body workout that suits the needs of the pregnant body. Always staying up to date with the newest developments in exercise trends and pregnancy care as well as keeping close relationships with gynecologists and physical therapists to refine the program. - You will feel more energetic and more in control of your growing body, which will also helps you during labor. - You may have less back-pain and other pregnancy related “little pains”. - You will have a lower chance of gaining too much weight during pregnancy. - Generally, you will recover quicker after giving birth. - You will probably sleep better! - You'll meet other pregnant women in a prenatal exercise class, exchange phone numbers and you can meet for play-dates soon! - You’ll get the “glow”: exercise increases blood flow to your skin, enhancing that pregnancy glow. And when you are calmer and fitter, it shows. - You’ll keep your immune system fit! Even moderate exercise such as power-walking, swimming etc. lowers your risk of getting a cold by as much as half. - It’s easier to start exercising again after giving birth and to pick up your sports routine again. Mom in Balance trains in Basel, Geneva, Horgen, Küsnacht, Lucerne, Zug, and Zurich. Mom in Balance also offers workouts specially designed to get back in shape after giving birth and high intensity workouts for moms who want to stay in shape, so even if you are not pregnant anymore, Mom in Balance can be the perfect workout for you! 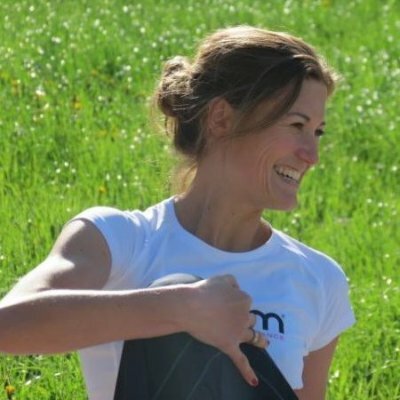 If you would like to receive more informations about the workouts, please email to: info@mominbalance.ch. We are also happy to answer your questions about pregnancy and exercise in general. Feel free to drop us an email. We are looking forward to hearing from you! Even if you’ve not been exercising regularly in the past – there’s never been a better time to start than now.